Well, Pam at 365 Cards tried to convince us that we are long overdue for a Sports theme card. Our orders from headquarters were to use a ball on our cards. No problem! I had a choice of a golf ball, a baseball, and a football. Since the football was the biggest, and I would have less card to fill with 'other stuff', I chickened out and chose the football! Pam, if you are reading, we tease you a lot, but your ideas are endless and fun! Keep on keepin' on!!! My card is really simple. 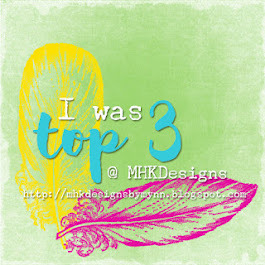 I started with Gina K. Design's downloadable paper (on Stamp TV, in the Freebies section - really!). The football is Inkadinkado, and the stopwatch is clip art. The sentiment is a fun quote from Erma Bombeck. If you can't read the sentiment, it says, "Thanksgiving dinners take eighteen hours to prepare. They are consumed in twelve minutes. Half-time takes twelve minutes. This is no coincidence". And...can you believe that football season is upon us already? I think I would love football as much as I love baseball if the Referees would let the players play ball. I get tires of those flags flying on every play! Baseball players really are smarter than football players - how many times have you ever seen a baseball team penalized for too many players on the field? DD took a fairly longish hike the other day (before AND after camping out in a tent on the ground!) on the Ozark Trail here in Missouri. She apparently had a close encounter of too many kinds with arachnids! You can read about it and see icky pictures here. I am always telling DD that she is SO brave, and she always argues that she's not at all brave. Well, DD, I can PROMISE you that when I happened onto the very first spider, I would have been so totally OUTA THERE!!! You, my dear, are SO brave!!! Anyway...when I realized I hadn't yet done the Midnight Madness Sketch Challenge for this week, I knew exactly what I had to do! Melissa, this card is for you!!! Supplies: DCWV Matstack, K & Co. Matstack, Versafine Black, Spiders from Sandylion. Sheesh, now I'm creeped out all over again! Pleasant dreams everyone! I'm off to work on announcement inserts! Very nearly finished!!! ~Beware of things that go squish in the night! Ouch! The theme today at 365 Cards is White Space. 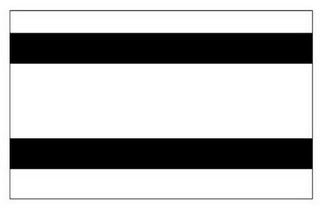 We were given the following sketch, and were told that the only stamping, designer paper, embellishments, etc., must be contained within the black lines. Well, this might be easy for some, but YIKES! That whole clean and simple thing just freaks me out! I probably 'stretched' my black lines a tad here, but I either had to do so, or sit on my hands, and if I had sat on my hands, the card would be unfinished! Actually, if I'm going to be honest, I did really mean to trim down the bottom line, and had everything adhered before I remembered to do so!!! Hope you like it - I am stuck on fall right now. I love the colors of fall and spring! They are so much fun to work with. I saw this sign outside a nearby church yesterday, and I liked it! "If God is your co-pilot, you should change seats"! Gotta love it...Vintage, that is! I remember those days! Lol. Just kidding! Not quite that old yet!!! When today's challenge at 365 Cards came in with a "Going Vintage" theme, I remembered this great Graphic 45 paper I had. It was left over from a vintage cigar box class I took at For Keeps Sake a while back. The second card is for Stamptacular Sunday's challenge, which was to create a card that was three dimensional. This card uses the Papertrey Ink's Everyday Button Bits set. Both the piece with the stamping and the buttons are adhered with dimensional dots. DD and I are going to meet up sor supper in a bit, so I'm off to the shower for now. Hope that your Thursday has been full of blessings! Hmmm....why do we sing "Take me out to the ballgame" when we are already there??? First a quick shout out to my special friend, Chat Dump Girl, who is feeling quite puny today. Hope you feel better very soon, my friend!!! Gosh, the days are flying by! It's day 179 already at 365 Cards, and the challenge today was to use a checkerboard pattern on our cards. This is one thing that I love about these challenges...I am 'challenged' (imagine that!) to do something that I would never get up this morning and decide to do on my own! I used Copper embossing powder, and a retired TAC square stamp, and heat embossed a pretty fall background in checkerboard fashion (don't look too closely at my crooked squares!). Decided that I should keep this simple, so just added some fall leaves and a couple of inches of fallish colored ribbon. Well, I am supposed to be working on monthly reports, so I guess, perhaps I should get to them!!! Have a great evening, and I'll try to get around to your blogs and see what you are up to before I turn in tonight!!! Next is a shot of the calendar. I didn't have a lot of back to school related stamps, so I used my Printmaster Program for some of the graphics, and for the calendar page. Here's a better view of the little 6 x 6 cork tile. I stamped a couple of TAC apples, and a TAC sentiment, which reads "these are the days to remember". Finally, a ginormous paperclip finishes the project. These I purchased a long time ago at our local office supply store, and just haven't used them until tonight. I hope that you all have pleasant dreams! I fought a naggy headache all day, and I'm going to give in to it soon and go to bed! Shirley, if you are reading, I apologize for not calling you back. DS, DH and DH again, all called, and by the time they hung up the last time, it was 10:20. I will talk to you in the a.m. Enjoy your walk! Worries are like golf strokes - those with the fewest are the winners! help keep the card closed. 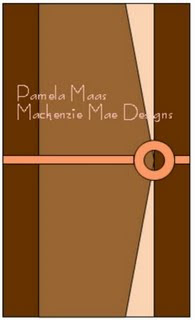 Here is the card, fully closed, and this is the back view! This is just a 'little something' for a friend. I'm putting it in the mail tomorrow morning, but I thought it turned out cute, and didn't want to send it without posting pictures. Feel free to email me if you ever want the EASY details! If the 'recipient' of this little card is reading, the little note in the bottom right square is attached with removable two sided tape just in case you want to 're-gift' the card! I'm sorry to say that I forgot to attach the stamp that way! I will include an extra piece of the printed stock for that corner! Well, hope this gives you all a smile this evening! We don't do much around here for Halloween, so it's fun to create for others! 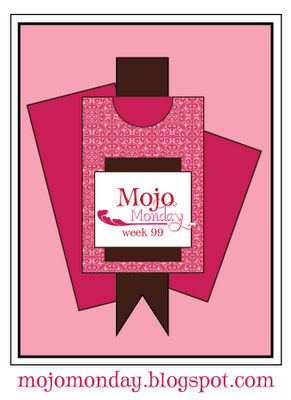 This first card is for 365 Cards and for Mojo Monday. 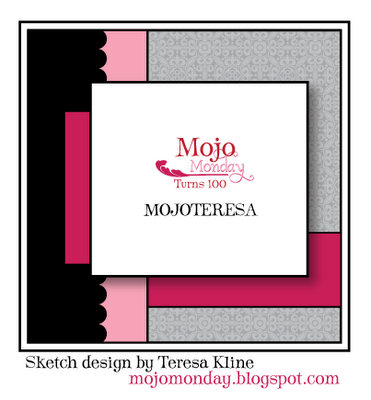 As always, Mojo's challenge is the sketch, and the challenge today at 365 Cards is to use a monogram on your card. Well, believe it or not, I was a monogram-virgin until today!!! TRUE! 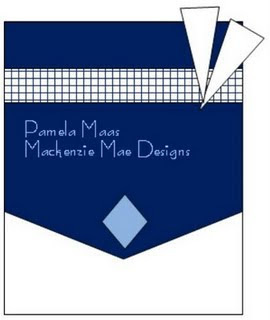 I had never made a card with just a monogram on it ever, ever, ever!!! I kept it simple, stayed with the sketch, and used up a few scraps! The second card is for the Cuttlebug Spot. This is my first time to play their challenge. The challenge was to make a card using the word "hot". Wowzers, that was a hard one!!! Anyway, I stamped up my Riley in his cute little car (he's a little "Hottie" you know...), and colored him with Kooh-I-Noor pencils and Tombow Markers, used a few scraps and a cuttlebug embossing folder, and whew....a tough one behind me!!! Hope that you all had a perfect day, and wish you a good evening. DD and I are headed to a Pampered Chef party where I'm sure we will be pampered beyond belief! ~Seek and you will find...sit and you will forfeit! I have this amazing pad of Basic Grey June Bug papers (thanks Lisa!) that I can't seem to keep my hands off of! It is going to be gone before I know it! 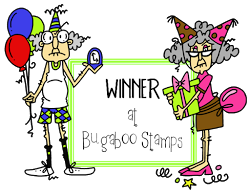 (sad face here) However, I love all things BG, so I couldn't resist using it, along with a wonderful Unity stamp, and this fun sketch! I followed this sketch exactly, which is not my norm (as you know I usually flip or rotate), and even included the cute little triangular pieces at the top! I punched a circle from the DP, and popped it up for a 3-D effect. Ink is Colorbox Olive Green Chalk Ink, and distressing was done with Palette "Haystack". The darling little yellow flat pearls are Kaiser's. The colors don't photograph as well as I'd like, but overall, this is one that when finished, I was quite pleased with. It will make someone a nice card! Well, peeps, I must go get ready for a trip to the airport to pick up DH. He's flying in from LA today, we drive to Branson, Mo. AND back tomorrow (4.5 hours each direction) to check on a jobsite, and then he flies out to Phoenix on Tuesday a.m. for some safety meetings. He's had a wonderful visit with DS, and they have been to several Cardinal's (sorry Caryl) games together. It will be good to see him! I hope your Sunday is blessing filled, and will probably be MIA until Tuesday night! Take care all!!! Wow...the weather today was like a special order day. The sky is clear and beautiful, a bit of a breeze blowing, and about 78 degrees. Absolutely heavenly. When we got home, DD and I had yesterday's leftovers for lunch. She had fixed us homemade salsa, black beans, cheese, and whole wheat chips. Oh my goodness, it was delish!!! 365 Cards challenge was all about layering. We were to "layer" our stamps! The challenge at Papercutz was to use something on our creation that "flies"! And...the Lots to do challenge was to "use paper on our creations"! Oh, baby - these were great for me! I reached right for my TAC Script Background stamp and the Beautiful Day set, and voila! The stamping was done with Tim Holtz Distress Inks - Peeled Paint, and Old Paper. Stamped on K & Co. CS., onto DCWV CS. Now, it's back to my announcements! Hope your Saturday is as wonderful as mine has been! My DH and DS are hitting yet a third Cardinal game tonight, again in San Diego. I hope my beloved "Birds" do better tonight! Gosh, how do you folks routinely do multiple challenges with one card? Yikes! I'm still tired from my Skater Ian!!! lol! I was too tired and too busy to post yesterday, so I have lots for you today! The first is a little card I'll call Just Because... this is for the Stamptacular Sunday Challenge, which was to use a bear on our cards! How much fun are bears??? No problem! Next up, "Dream", is a card that I made for the Midnight Madness Sketch Challenge 15. We had a sketch to follow. Below is the sketch, followed by my card! The main image was a $1 stamp from the bin at Joanne's this week when I took DH to the airport! 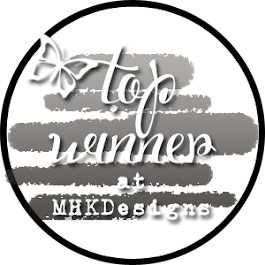 Stamps: Stamp Dimensions Crafts & Inkadinkado Inchies, Tim Holtz's Black Soot Distress Ink, Just a touch of Sakura's Starburst Pen on the stars, and that most fabulous soft and fuzzy trim, I found at For Keep's Sake this week! This bright and cheerful card is one that I made for two challenges (hooray for two-fers!). Corrosive Challenges had a sketch this week, so I started by following it. 365 Cards had this incredibly difficult challenge (sorry Pam! 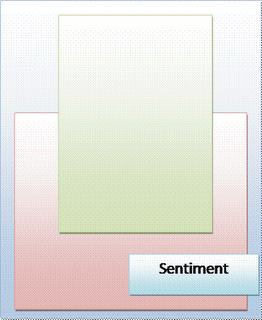 ), Mixed Message, of using 3 different ways to express your message. Folks, with 110 birth announcements in various states of creation, this one nearly put me in that white jacket that buckles in the back. Really....! So Grateful is a set that Gina K. Designs sells, that is designed by Rupa Shevde. What a gorgeous set it is! This is another two-fer! 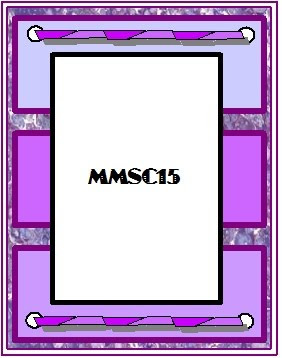 The new challenge at Stampin' Sisters in Christ, had a theme of "FOOD", plain and simple!!! With Thanksgiving approaching, when I think of food, I think of plenty, and from there, this set came out... I followed Monday's Mojo Monday sketch for this card. 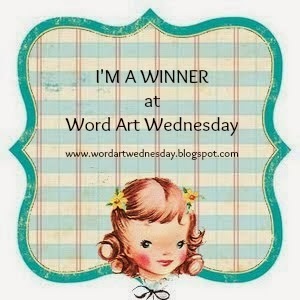 Stamps: Gina K. Designs, Kooh-I-Noor Pencils, Crystal Laquer, DCWV Indian Summer Fall Matstack. I used the Mojo Maria sketch (Tuesday's) for the layout. As usual, I was the rebel that turned the sketch up on its end!!! lol...can't help myself. Stamp: Shine Anya (from the Greeting Farm set of Rain, Snow, or Shine Anya), Kooh-I-Noor Pencils, Tombow Markers, and the DP is by Provo, found at Big Lots!!! So, today, I created my first ever 4-fer! Whew! My brain is smokin' - I'll sleep like a baby tonight! I have re-vised this! I have created my first ever FIVE-fer! First up, is the Mojo Teresa sketch for today. As Mojo turns 100 this week, the DT are posting sketches every day this week! I'm one for three.... got some catching up to do! Anyway, below is the sketch. Note that, as usual, I turned the sketch on it's end - sorry! I really tried not to! Last (really!) 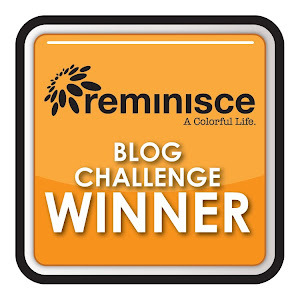 thanks to Maria, I have also posted this on the Lots to do Challenge. This week is an open theme - post anything, so I posted this darling little Ian!!! He's too cute NOT to share! Well, hope you are all well. 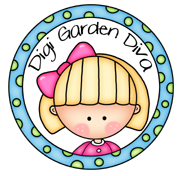 I am going to blurf for a few minutes, watch the Cardinals play ball (DH flew out today to watch some baseball with DS), and work on my birth announcement order! ~Is a hot car cool, or is a cool car hot??? lol... just food for thought! Well, here is my very first Halloween card! For those of you that aren't aware, Barb Foster has started a new Halloween Challenge Blog! You can find it here! She's calling it the Macabre Monday Challenge. For the challenge this week, we were to dig out our flower/foliage stamps, and instead of making them pretty, we were to make them spooky looking, or 'dark'... I had a bit of Halloween DP on hand, and used a new TAC stamp, spritzed it with water, added a sentiment from TAC and done!!! Barb, I promise to work harder next week!!! lol! The next card is for the 365 Cards challenge for today. The challenge was a trio - use a triangle, a sticker, and a button. Pretty self -explanatory! This card also works for the Artful Inkables Challenge, which was to use Black, White, and Red on a card! Also, self explanatory! Have a great night everyone! I'm off to cut out more baby blue things and glue them on brown things! I have a 6 a.m. run to the city to the airport tomorrow, so I'll see you whenever I can get here! Blessed is the person that is too busy to worry in the daytime, and too tired to worry at night! Cardinal's are trying to win the ball game! DS lives in California, and DH is flying out tomorrow to go to some games this week out there - they should have a good time, hopefully! Used cardboard covered with Provo DP from Big Lots, Sentiment is from Great Impressions, Cute little butterfly, once again, is a Megan (Shirley's granddaughter) creation!, and used Colorbox Chestnut Roan Chalk Ink to stamp image. 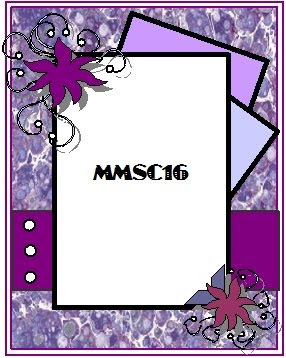 Cute little scallop at the bottom of image was a gift from Jan MacGowan, who is a Stampin' Up Demonstrator. Hope you like my little project! See you all tomorrow, and hopefully, with brain cells working! The challenge at Our Creative Corner this week is: Christmas in August! Well, thanks to OCC, I now have my first Christmas Card finished! Woot Woot! The photograper (me...) didn't do a very good job - it was hard to photograph, with the gold glossy cs reflecting. This was actually done without a flash, but the ceiling lights were reflecting! DCWV CS, DP's were scraps, used alcohol inks...Staz on ink, misc. gold strings and fibers. Stamp unknown. I have spent most of today just hangin' out with my peeps... we BBQ'd, watched the Cardinal's win the ballgame, etc. I didn't even go to town! I worked on only one craft project, and that was the 365 Cards Challenge for today. It is Sunday, so that means Sunday Sketch Challenge! 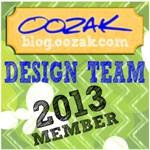 I used DCWV CS, DP by Provo that I found at Big Lots last week, and a scrap of rick rack. The only embellishment was a silk flower, topped by a punched (Martha Stewart punch) flower and brad. Paper Inspiration dragonfly stamps are old, old, old! (1999) , but are some that I just drag out over and over as they work so well! The sentiment is a Verve Plain Jane, which I love to pieces!!! I stamped all images first with Color Box Pastel Lime Chalk Ink, and then with Versafine Brown, moving the stamp slightly for a shadowed effect. Sure hope you had a great day! Can't believe tomorrow's already Monday. Take care, sleep well, God bless!!! Don't you just love a new challenge? Hannah told of an ABC challenge starting up for the third time, and it just happened to be at 'A' this week! So... I'm going to give it a try and see if I can keep up! I had this adorable little retired/revived TAC stamp that has never been inked. I thought with holidays fast approaching, this would be a good one to bring out and ink up! I am so pleased with how much fun it was to color! Supplies: Stamps are TAC, Stampin' Up, and Katie & Co., Versafine Black Ink, Kooh-I-Noor Pencils, Watercolor Paper, Provo CS, DCWV CS. Friday's challenge at 365 Cards, was to make your card look like a "gift"! Well, as I was on my way out the door for a trip to Michael's and Hobby Lobby, actually MAKING a card took a back seat to shopping for more fun stuff to make cards with! Lol... So this one is "falling off a log easy"! DP and some ribbon and a touch of glitter! Period. 5 Minutes tops! Not totally happy with it, but my priorities were definitely gathering wool in a shopping cart in another city an hour from my work table!!! Whew....sure wish I'd known today's theme prior to shopping yesterday! Oh well, perhaps there is a scrap of toille DP in my bin! Supplies: DP (unknown), Ribbon (unknown), Inkadinkado, Color Box Chalk Ink, Burgandy. I'm back! Rather than make an additional post, I'm posting today's 365 Cards challenge, which is to use toille on our cards! I did have a piece in my bin, so with a bit of ribbon, adhesive, and a Hero Arts sentiment, this card is finished! 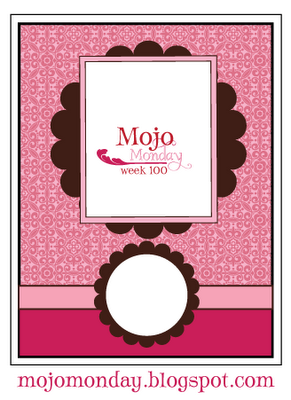 I thought I'd combine the Mojo Monday sketch with it, as I hadn't managed to make anything yet for it! So....here's a last minute two-fer! Cheers!!! I wish you all a good day! I'm going to go immediately to Wal-Mart, and hopefully avoid at least some of the trauma involved in going there on a Saturday morning on the first week of school! Tee Hee! Hope you all have a great weekend! Think positive, happy thoughts! If you get time, please drop by Shirley's blog and wish her a happy birthday! I'm sure she will shoot me when she finds out that I divulged this top secret info, but she is 19 today! Looks pretty darned good for her age, too!!! Back to School....this post is for Lisa! Colorwheels... and a front porch view! There is Magic in the Air!!! Crop till you drop, and Lace!